Other Commercial Design Projects-Carolina Coastal Designs, Inc.
Click on the photo for detailed project information. This project involved designing a commercial facility to house the "new" New Hope Clinic. This facility, in Boiling Spring Lakes, is almost 4000 sq. ft. and houses four medical exam rooms, two dental treatment rooms and a sterilization room, a large pharmacy, four triage/exit rooms, three private offices and a staff kitchen. This fully handicap accessible 1.660 acre park facility was designed to take advantage of the plentiful and varied beauties of nature that are available on the property. Construction included a Waterside Picnic Area, Educational Nature Center Building and separate Bathroom facilities. 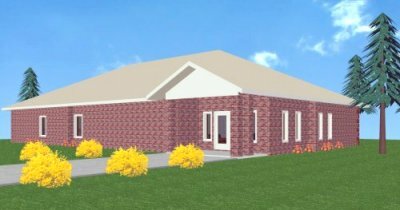 This new Business/Residential building is soon to be built in the heart of Southport, North Carolina. It will have maintenance free vinyl siding and windows, and will consist of two(2) 988 Sq. Ft. ground level commercial units, ideal for office or retail space, with two(2) spacious 1935 Sq. Ft. "duplex" residential units located above This project is scheduled for completion in 2007. This 2400 sq. ft. single-story commercial office building, built to house a local law firm, was designed to meld with the uniquely coastal flavor of the neighborhood. This 2600 Sq. Ft. commercial project, designed for use as a BBQ Restaurant, was thoughtfully designed to fit with local coastal architecture. It is located in the heart of Oak Island, in North Carolina. 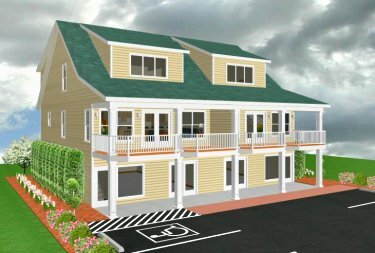 Long Bay Commons, located 1/4 mile from the beach, is a new Business/Residential development located in the center of Oak Island. It consists of two(2) 40' buildings and one(1) 80' building. A total of eight(8) commercial units, perfect for retail or office use are situated on the ground level, with eight(8) spacious "duplex" residential units, perfect for seaside enjoyment, above. This new Business/Residential complex, consisting of two buildings, is scheduled for construction in 2007. This development will provide three(3) single and three(3) double-sized commercial units, along with nine(9) "duplex" residential units at 50th Street and Oak Island Drive on Oak Island.